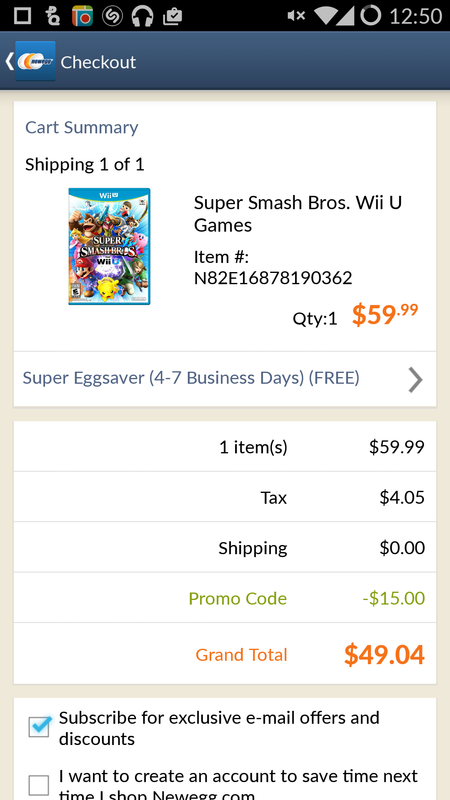 Want to save $15 on the newest Super Smash Bros. for the Wii U? or any item greater than $50 on Newegg? 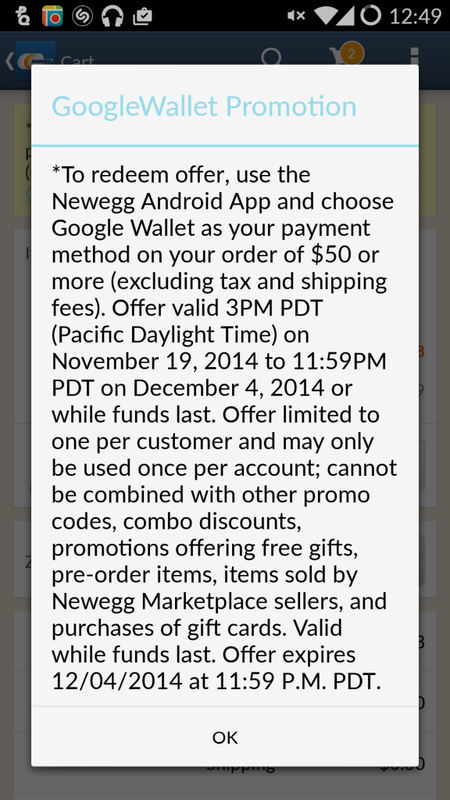 1) Download Newegg app from the Google Play Store (if you haven’t done so already). Sorry iPhone users, no $15 off for you! 2) Open app and choose Super Smash Bros. Wii U. 3) Check out with Google Wallet! 4) You will see the discount on the cart. 5) Taxes will vary by state. Check out the following screenshots to see the savings and fine print!